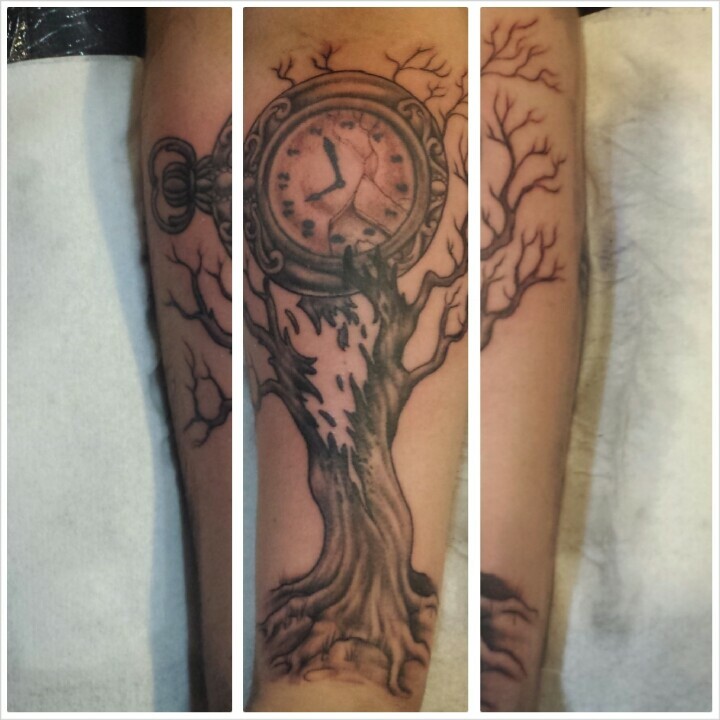 Mario Just did this semi- freehand tattoo fix/addition. 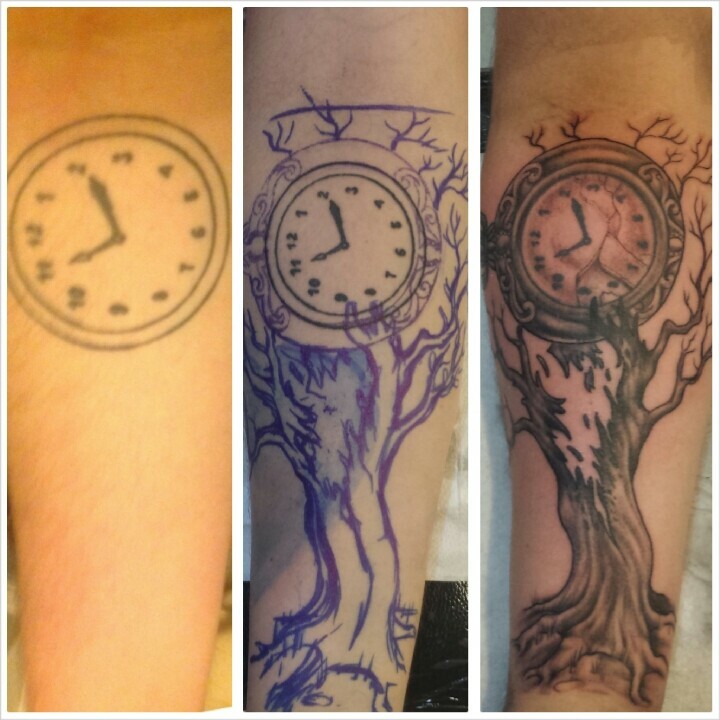 This customer had a clock outline he got in a moment of weakness awhile ago and wanted to cover it. suggested maybe just adding to it to make it more substantial. Here is the progress and final.